The rules are different when relatives are in the picture. Family-owned businesses are the best of arrangements, the worst of arrangements. At their best, the family’s loyalty and commitment strengthen the company. At their worst, personal rivalries and a sense of entitlement weaken the firm. 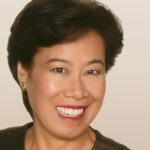 “Hiring, managing and paying family members is one of the most difficult issues that a business owner can deal with because family relationships can inappropriately influence business decision-making,” says Mae Lon Ding, president of Personnel Systems Associates, an Anaheim compensation consultant. The family business needs to be more structured and disciplined than its nonfamily counterparts in organization, hiring and promotion, experts and leaders of family-owned companies agree. Owners must think in terms of what’s best for the business because in the long run, the firm’s success is what’s best for the entire family. “Family business relationships can be stressful because you’re so close to it you can’t see what others are doing,” says Michael Alvarez, whose family owns Alvarez Properties in Anaheim and the Army Navy Store in Orange. Alvarez’s father and uncle started the store, which has been in Old Towne since 1954. Four of his five siblings work in one of the two companies, and no doubt at least some of the 12 grandchildren will join them. The discipline must start even before a family member is hired, says Mike Trueblood, director of the Family Business Council at California State University, Fullerton. The family business owner must decide what jobs the company really needs and write the job descriptions, he says. Clarity about duties and qualifications avoids arguments later. If you really want to hire a family member who doesn’t have the skills and knowledge, set up a trainee program for a year, Ding says. That is what Alvarez has done in creating internships for the family’s third generation. The stereotype that the boss’ son gets kid-glove treatment is usually false, says John Monson, whose family built ServiceCraft, a Buena Park trucking and warehouse firm, into a $55 million company before it was sold in 1998. Many family members still work there. Once hired, the family member should be placed in a situation where he or she will get honest feedback about job performance, Fleming says. The parent may not be the best person to do that. But some family businesses are so small that mom or dad must be the boss. Minimize friction by developing objective performance measures and evaluating work several times a year, Ding says. Give guidance on how to improve their performance. The former gives family members an inflated view of their worth, and the latter creates resentment. Family businesses must reward the work and loyalty of nonfamily employees, Monson says. Ironically, his family’s effort led to ServiceCraft’s sale. They set up an employee stock ownership plan with family owning 55 percent. That created a fiduciary responsibility to all shareholders. • Do expect family members to work at other companies for a while. • Don’t create a job just for a family member; make sure your firm has a need for which this relative is the best hire. • Do set up job descriptions with clear qualifications, duties and goals. • Don’t start an unqualified family member in a top management job. • Do pay the family member market wages, not exorbitant or slave wages. • Don’t assign the family member to work directly for a parent or sibling. • Do place family members in situations where they get honest feedback on job performance. • Don’t hire family members for a job they’re not qualified to do. • Do fire family members under the same criteria and circumstances as other employees. • Don’t mix family and business issues. • Do fully inform the new family employee what to expect and what is expected of him or her. • Don’t neglect family communication and meetings.